Slim and lightweight; does not bulk your laptop up and can easily slide into your briefcase, backpack or any other bag. Velcro with strong adhesive force to protect your laptop from dropping. One main compartment for laptop and a second compartment for magazines, books, tablet, etc. Two back pockets for your convenience to keep cellphone, earphones, wallet, credit card, etc. Suitable for work, travel and more! Slim- line design allows this case to be carried solo or to be fit in your favorite bag. Protects laptops/netbooks from dust, shocks, bumps, scrapes and scratches, spills. 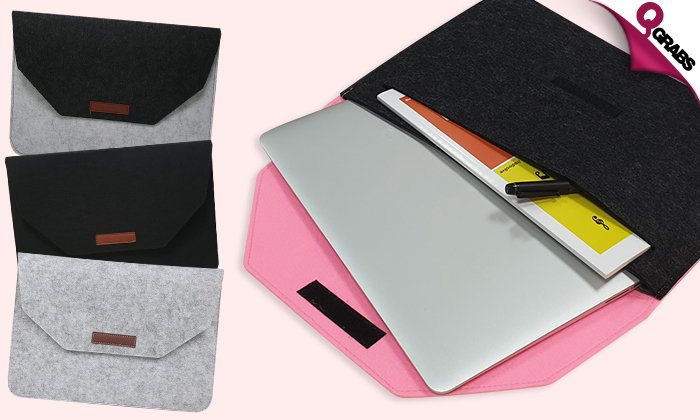 Keep your laptop safe and scratch-free with up to 63% off!